Do you have a FMC connector on your board? FMC (FPGA Mezzanine Card) have become very common on standard FPGA development boards. FMC is an ANSI/VITA standard that defines I/O mezzanine modules with a connection to an FPGA. 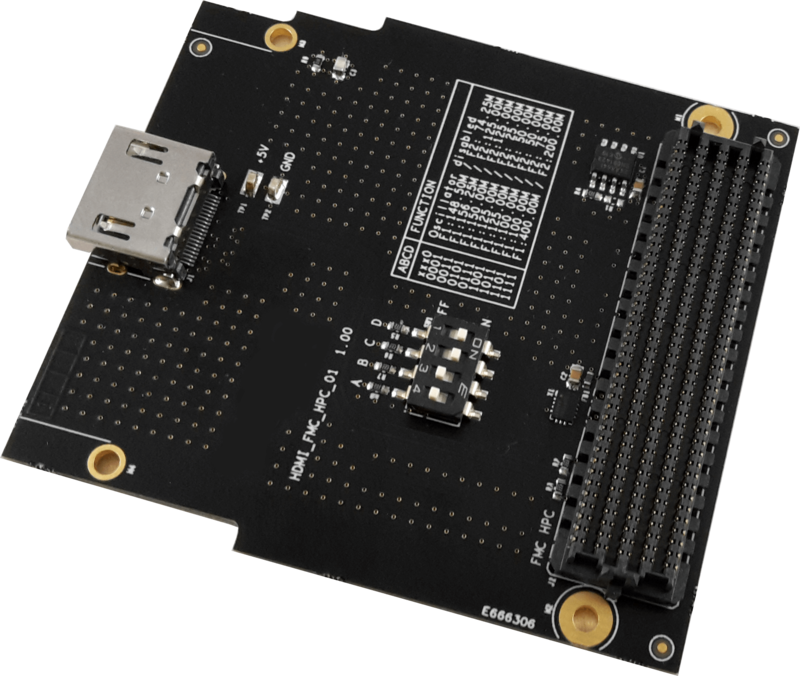 The EA-HDMI-FMC-01 module is an EXOSTIV adapter board that connects and converts the HDMI type-A receptacle connector to FMC terminal (male) array assembly connect. It is used to connect EXOSTIV Probe to standard FMC connector of a target FPGA board. This module is compatible with the ANSI CVITA specification 57.1. The module physical dimensions, the connector position and the pin assignments are implemented as defined in this standard. – UG301 – HDMI to FMC module adapter data sheet. – Knowledge Base article: What are the switches on the FMC to HDMI adapter? – Check our General Documentation Page for more documentation.